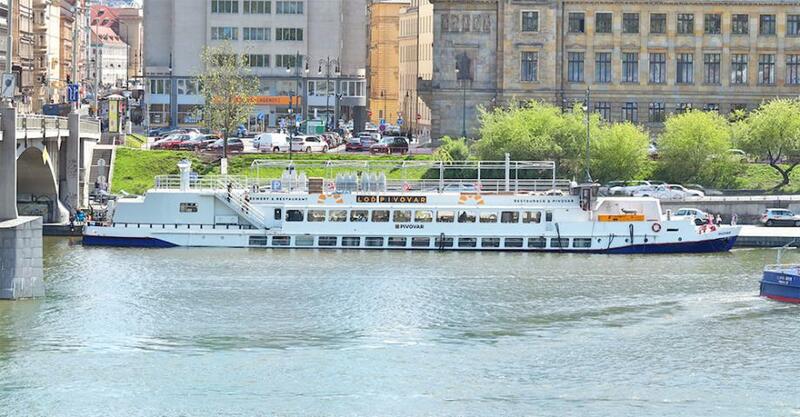 Savour craft beer on a Prague river boat Pivoloď with its own brewery. 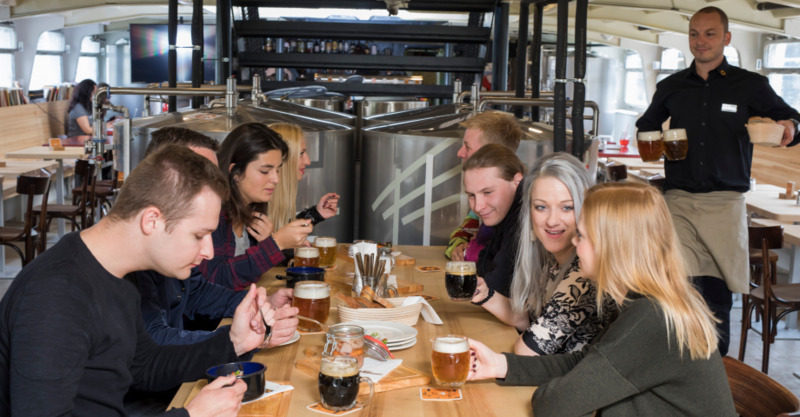 Enjoy unique beer tasting in Prague and a brewery tour aboard a special boat offering delicacies from its own smokehouse, Czech traditional food and fish specialties including the highly recommended pickled fish burger. 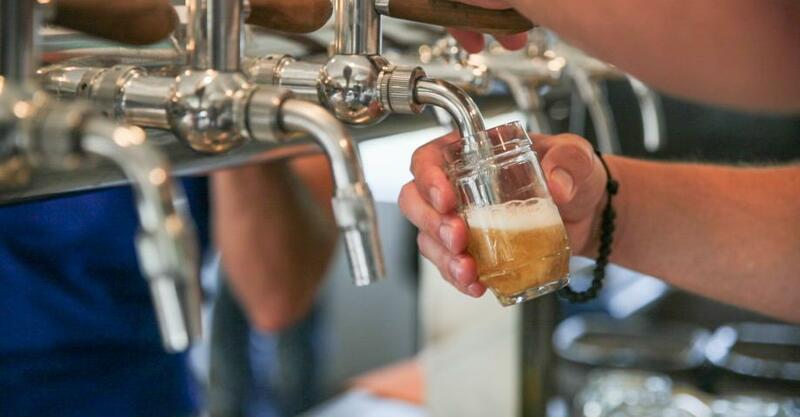 Try 3 exquisite lager beers of the popular Pilsen type: The Legion, The Republic and The Monarchy. Or go for a more thorough experience and choose the variant upgraded with 2 more special beers on tap. 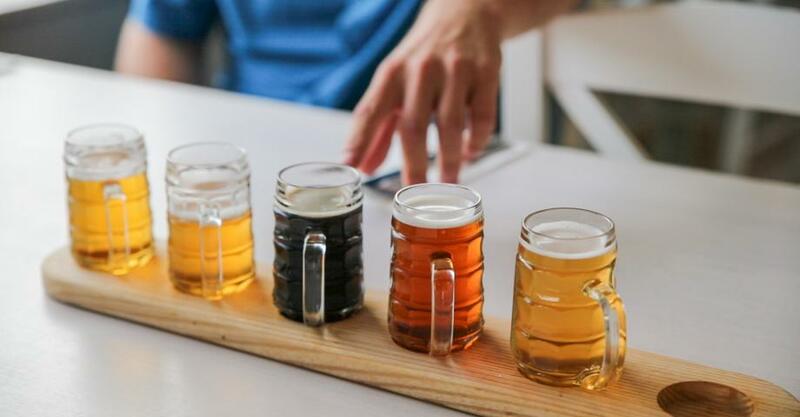 Czech beer is undoubtedly one of the best. And sampling Prague craft beer with the view of the Vltava river makes for a perfect cultural immersion. 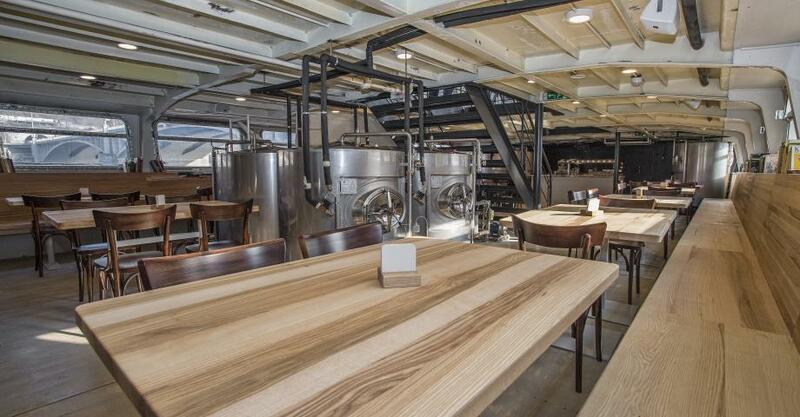 Enjoy beer tasting aboard a river boat with its own brewery! 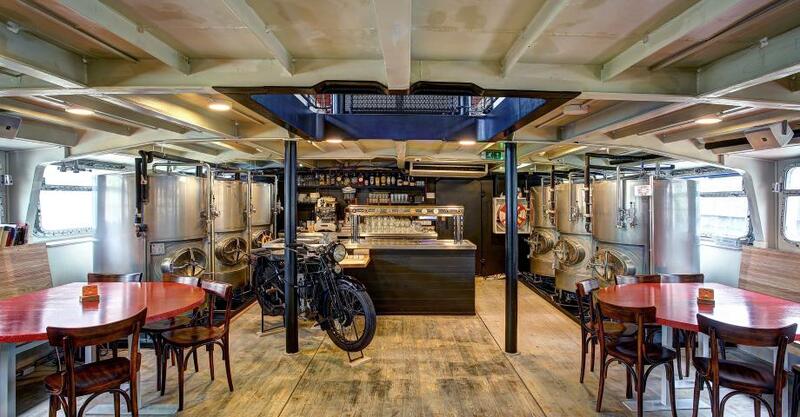 Enjoy unique beer tasting at the first brewery on the boat in Prague in the Pub on the lower deck. Please note, that no alcohol will be served to the customers under age of 18. Activity is indoor, so it is not limited by weather. 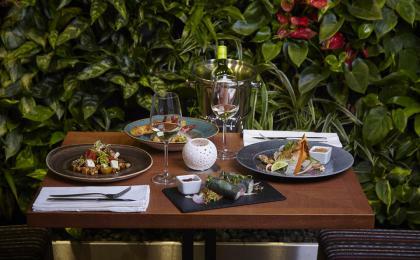 Entire degustation takes about 1 hour. But it depends on you. This activity is designed for 1 person. You can reach this activity easily on foot. See Google maps. 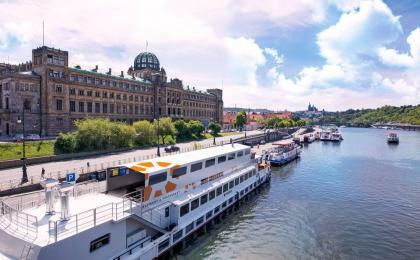 It´s 15 minutes walk from the Old Town Square, close to metro station Náměstí Republiky, or tram No. 6, 8, 15, 26 - Dlouhá třída.